Slice Australian Ribeye steaks into 1-inch cubes. Slice peppers and one and a half onion into 1-inch squares. Set remaining half onion aside. Blend onion or grate and squeeze to get juice. 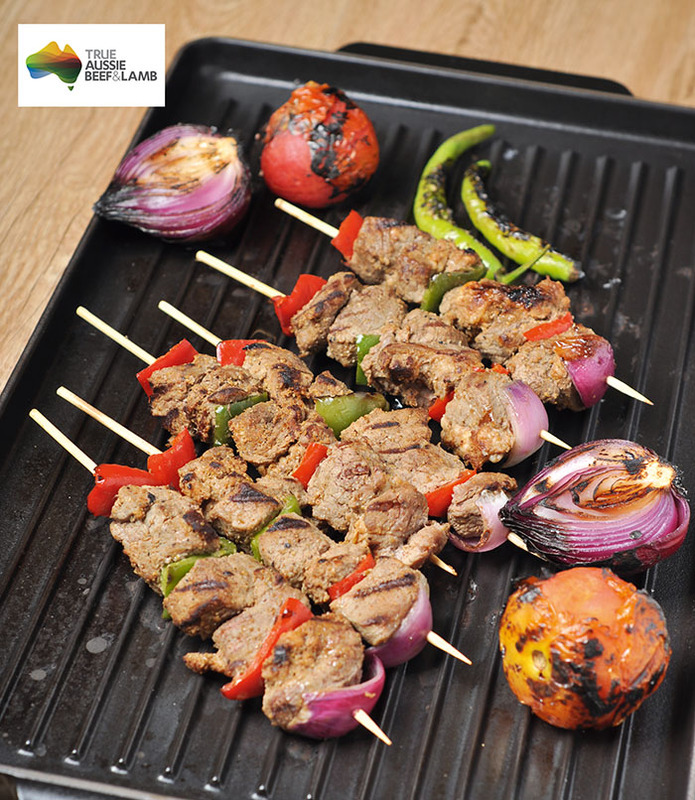 Marinate steaks in onion juice, coriander, cumin, chili powder, salt and lemon juice for an hour. Skewer marinated Australian Ribeye cubes, alternating with bell pepper and onion squares. Grill for a minute on each side. To make yoghurt sauce, simply mix all ingredients together in a bowl. Serve kebabs hot with yoghurt sauce on the side.